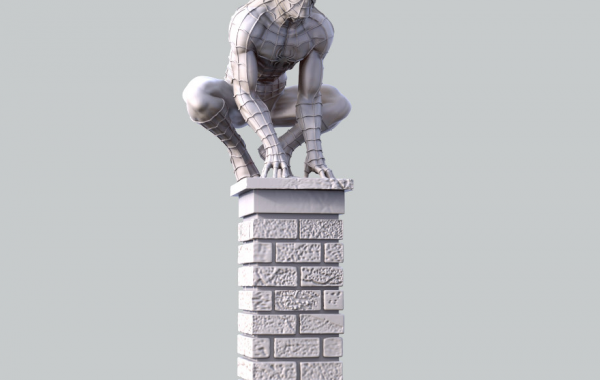 Commemorative miniature development for Freak Wars II. 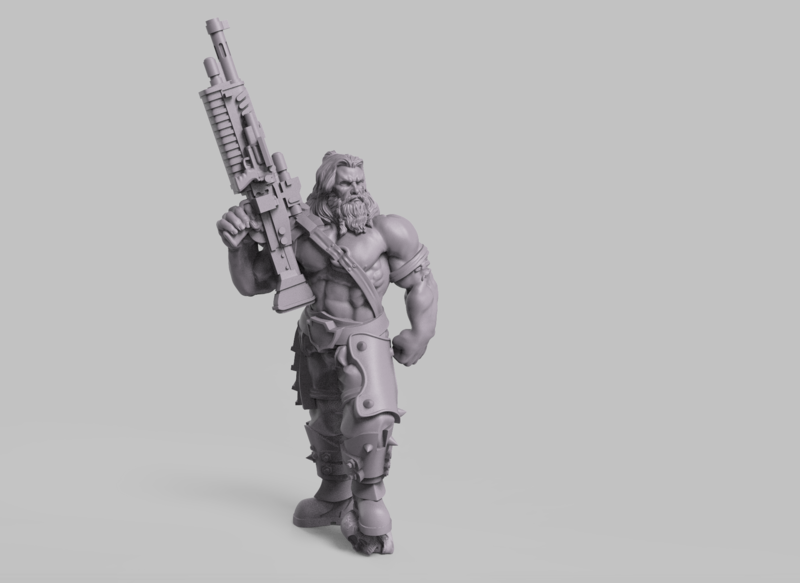 The client wanted a miniature that could be used in different wargames, with interchangeable pieces. 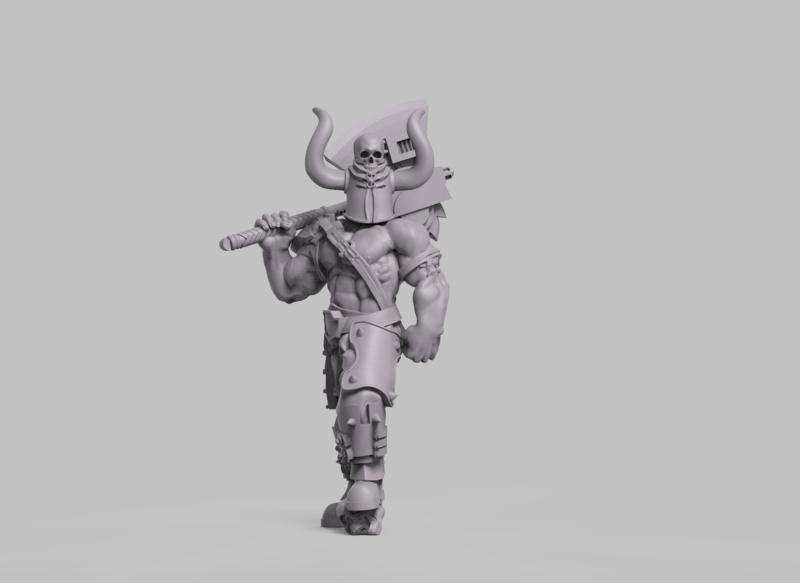 The client asked us for a miniature that had the arms on his shoulder and had interchangeable parts. In addition, he sent us illustrations and photos that he liked to try to get the same style. 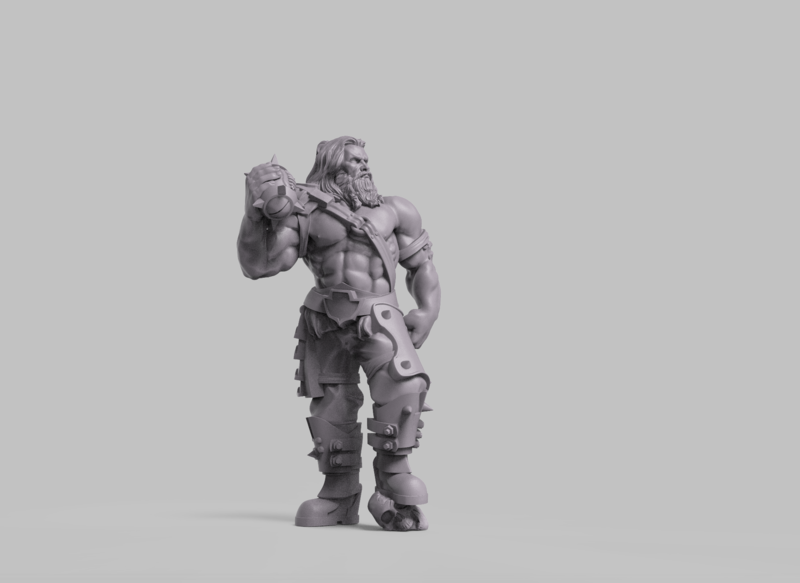 Based on these references we model a miniature with a static pose but attractive, and natural to have the arms over its shoulder. As a detail to give more strength to the character, we replaced the rock that was initially to be treading, by a crushed skull. 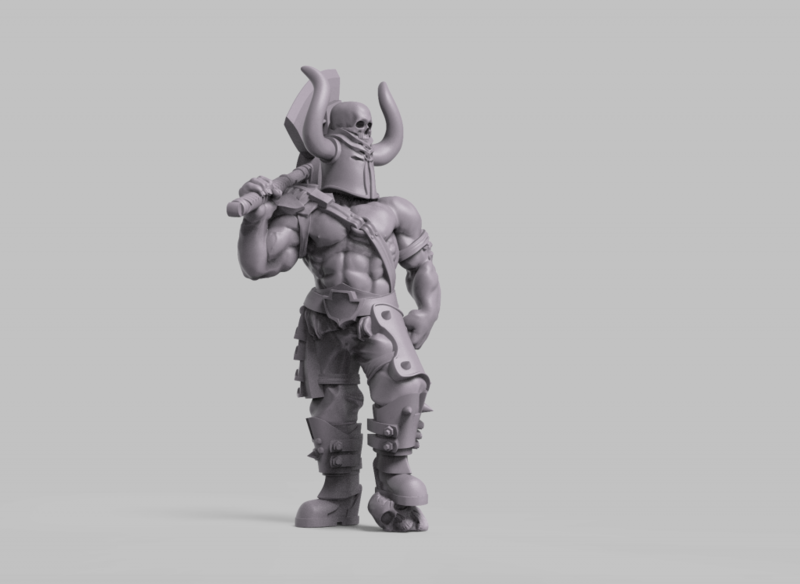 We also modeled two heads, one with a helmet and one without it, and three arms, one with an axe, another with a ball and a third with a rifle. 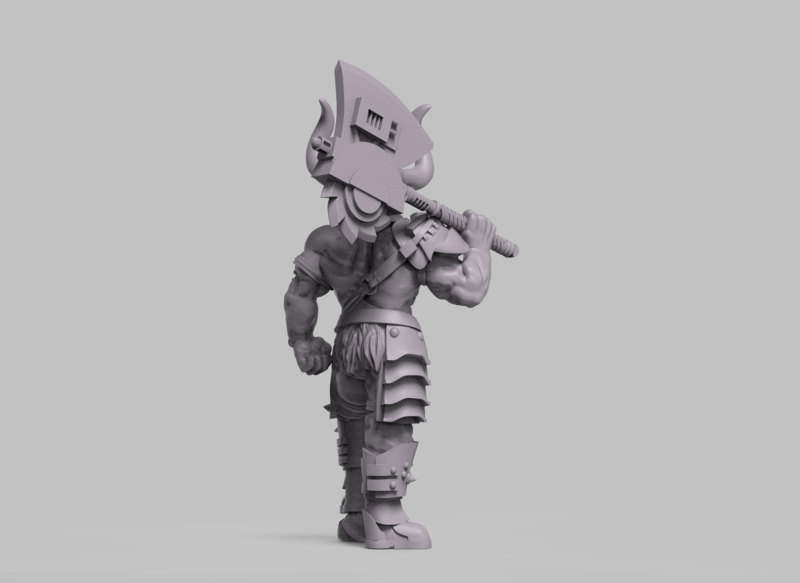 Finally, we prepare the miniature for 3D printing to fit all interchangeable pieces. 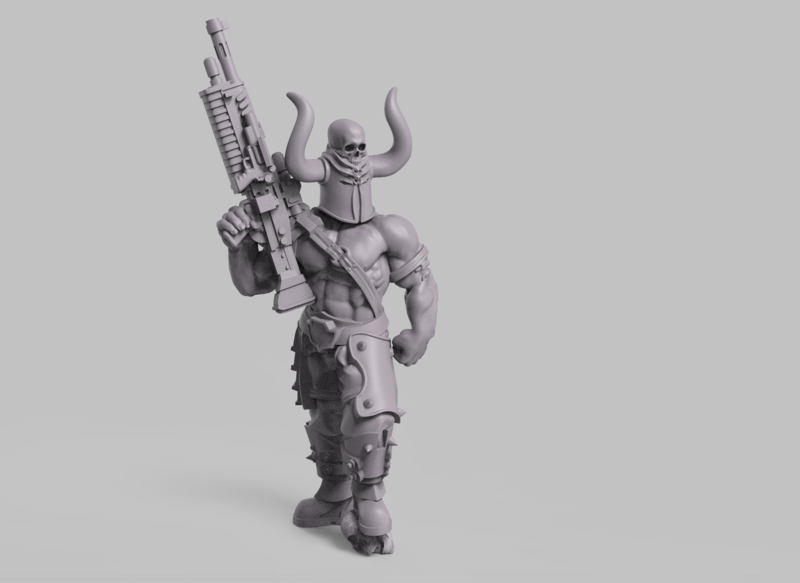 We model a miniature with interchangeable heads and arms that can be used in different wargames. If you like Magnus… share it!